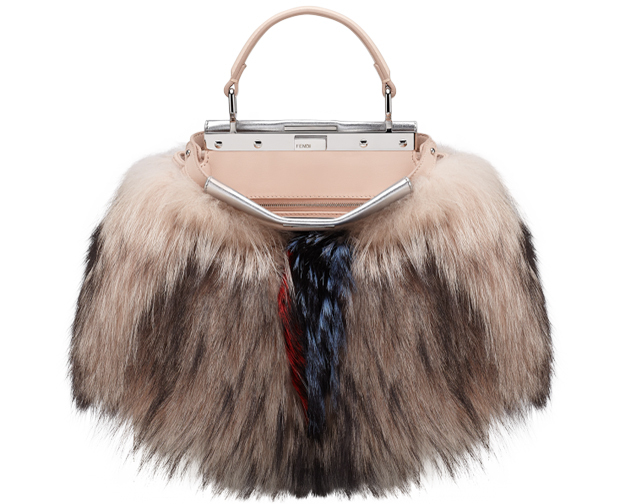 Would Fendiâ€™s fall winter collection of bags be complete without a fur item? And what would be more suitable than this amazing fur version of the Peekaboo mini tote? This model has already become an iconic bag for the Italian house because of its vintage looking silver frame. Now it comes in an even more appealing version that keeps all the quality standards Fendi accustomed us with.